I have been trading FOREX since April 2016. Start up on currency trading was really challenging for me, before I fully understand how the currency market works. June 2016 when I started to understand the movement of the currency market. 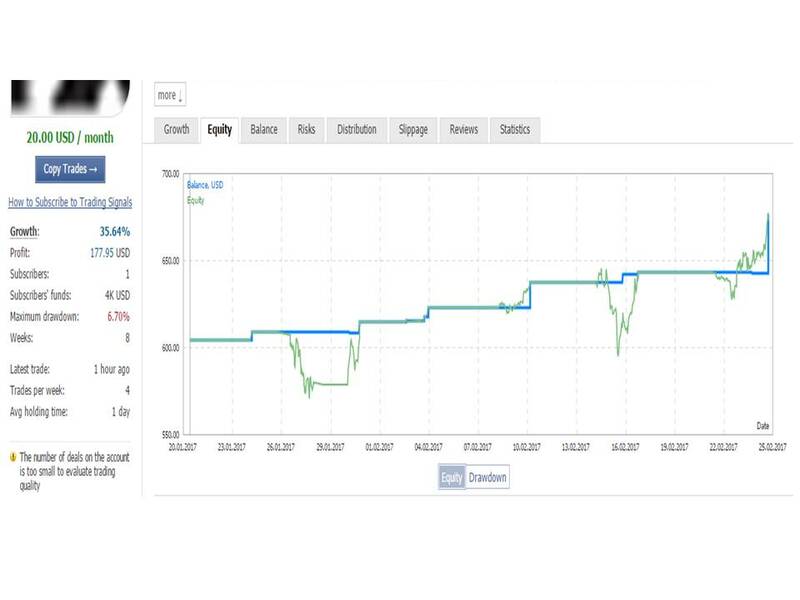 This was the month when I started to developed a trading system that provides me continuous return. I consider trading currency and stock as a business rather than a gambling. I am open for business for those investors who seek low-medium risk long term investment in Forex Trading. 1. To maintain an average DD of 5% to 25%. 2. To achieved a Monthly Ave. Income of 3% to 10%. 3. To achieved a Yearly Target Ave. Income of 50% to 100%. 5. To preserved the capital thru tight risk money management. Minimum investment of USD 10,000.00. Investment Holding period of 6 to 12 months. Issue with disabled signal was now resolve. You can now access my signal normally. Please be advise that my signal SureProfit002 is disabled by MQL5. I already contacted their support to clarify the reason and I am awaiting for their response. I am optimistic that this is not a serious matter and will be resolved accordingly. Looking forward for your understanding. First trade ENTRY of EURUSD has been closed in profit. This maintain the 100% winning trade percentage of this signal. Signal is in strong position so far to maintain its 100% winning trade. A possible pullback in EURUSD might hit the first trade Entry. I (signal provider) is a novice Forex trader. I started trading Forex since April 2016. I only do manual trading. No EA. Trade are conducted based on technical analysis and my understanding on a certain currency pair. My trading strategy does not apply Stop Loss. To address the RISK, my first entry to the trade is properly considered that if the price moves against the trade, there is a possibility that the price will close in profit or near to break even. I don't over trade. This is to ensure that my account is enough to withstand unpredictable huge price movement. As part of my strategy, I use price leveling or grid. I believe that this is a profitable strategy if you are trading at higher time frame and executed properly. I also use martingale sometime but not doubling up my lot order. This strategy applies price leveling and lot orders are increased by 0.01 lot per trade entry. My view in Forex trading is long term. So, trades may stay for a long time. If you don't have PATIENCE, this signal is not for you. I treat Forex trading as a business not gambling. For subscribers who need to follow FIFO, I am doing my best to support them but my trading strategy sometimes requires to violate the FIFO rules. I respect my subscribers. If you subscribe, it means that you accept all the RISK in trading Forex. No negative comments if you are not happy with my trading performance. Just UNSUBSCRIBE to the signal. If you accept the above conditions. SUBSCRIBE ONLY IF THE BALANCE IN YOUR ACCOUNT IS 2X BIGGER THAN MY ACCOUNT BALANCE. All open position has now been closed at a profit. This maintain a 100% winning trade on my account. I will be implementing a different strategy on my next open trades. I advised to subscriber to maintain an account balance of at least 1000usd. On this signal I always trade with calculated risk. I always look forward to the possible movement of the price. I can increase my drawdown percentage up to a certain level if I see some potential profit. I do use leverage in a right way. I do always plan my ENTRY where in the worst case scenario is to close it to breakeven. I don't over trade if there is no possible potential to gain. I trade with my rule and not with my emotion. I am open to do business to those interested. Just drop me a message. All Entry are calculated according to the signal generated by the 2 indicator. Potential loss is always reduce closer to break even. I would like to invite you to check out my signal. Manual trading is more better strategy to control the risk of trading.